Some of the members of the Windham Weaponry team are introduced below. The best email I ever wrote was when I asked if all my employees would go back in the game with the old man to create Windham Weaponry. The Windham Weaponry family has a lot to be proud of with how much we’ve accomplished over the years. 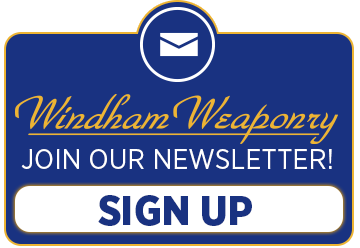 I feel we’ve assembled some of the best individuals in the field who are highly dedicated to our company, establishing Windham Weaponry as an exemplary business and a true success in the Firearms Industry. Five years growing WW into a successful and respected company in the firearms industry and our community, and 14 years with Bushmaster with this great team of people. So proud to be a part of this outstanding adventure. After over 30 years with Bushmaster and now Windham Weaponry, I am very proud of what we have accomplished, especially our new company that has come so far in such a short time. It’s great to be with a company employees built from the ground up! Every year we continue to add new products and more jobs here in Maine. I am proud to be part of a growing company that’s second to none when it comes to customer satisfaction, employee benefits and teamwork. It is my privilege to work alongside of the WW Team every day. I am proud to be a member of Windham Weaponry production team. I enjoy working for a company that treats employees’ as their most valuable asset. After retiring from the Portland Police Department here in Maine I began my second career with Windham in February of 2012. I have met some of the best people all around the world and love the opportunity to be able to provide them with such amazing firearms. It has been truly amazing to experience the last 5 years. We have such a great crew and company. Thank you to our customers who believed in us. 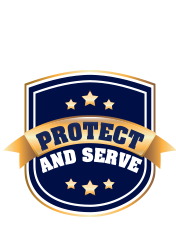 We appreciate your continued support. It has been an exciting journey for Windham Weaponry over the past five years. It has been a great experience to be involved with growth of the LE & International Sales Department. Our LE rifles are now in most states across the USA and in several Countries. 5 years already – time sure does fly when you are having fun. So lucky to be a part of this ever growing family!! We will always strive to maintain our customers loyalty. 5 year ago I was asked to help start QC for Windham Weaponry. Starting with nothing but a simple pair of basic measuring tools, we were able to bring Windham Weaponry to life and become the great company that it has grown to be. I am proud to be part of this great American success story. WWI has been growing strong for over 5 years now and I am so excited to be a part of such an amazing company. Over 9 years with Bushmaster has taught me how important it is to work with amazing and dedicated people. The opportunities I have been given at WWI have been a new challenge in my life and am very happy to take on this challenge. It’s a privilege to be a part of a group of hard working people. Led by generous owners. Making a high grade product used for sport, fun and protection that is known for its consistent quality worldwide. Keep Integrity and your work ethic intact. So what if that means working a little harder, an honorable character is your best calling card and that is something everyone can have! Been with this amazing company from the beginning and am proud to be a member of this team. Being with Windham Weaponry since its inception, I am extremely proud of the company we have become. Only 5 years ago Windham Weaponry didn’t exist, but today we are a force to be reckoned with in the AR Industry. I couldn’t be more proud to say I work for this company. I am so proud to be a member of the Windham Weaponry team. This exceptional company makes me excited for the future and grateful that it’s with them. Feel very fortunate to work for a small company that does big things, all the while never forgetting the quality people they employ that makes building the world’s finest AR possible. The past five years here at Windham Weaponry have been outstanding. To see this company grow as rapidly as it has, and to be a part of it all, is really special. I’m looking forward to the next five years and beyond! I can say without a doubt that this group contains the most dedicated, motivated, and passionate people I’ve met. Those qualities are reflected in our product which makes me proud to be part of this amazing team. 12 years with Bushmaster, now 5 years with Windham Weaponry. A great journey with the best team ever! I have been with WWI family for 4 years and 7 months as a receiving clerk. Now I am a receiving manager with this great growing company. Thanks to senior management for seeing how dedicated I am to our WWI family to produce a high quality rifle in the AR market place. I still remember that day of being asked if I wanted to join the new journey of Windham Weaponry. It has been an amazing five years. The success of WW is truly something to be proud of.